*I. * Discussion of operating procedures for the working group. -This one group will concentrate on generating ideas for two aspects of group organizing as defined below. 1) Organizational Development: Refinement of organizational processes for the increased efficiency and effectiveness of Occupy Carbondale’s general operations. 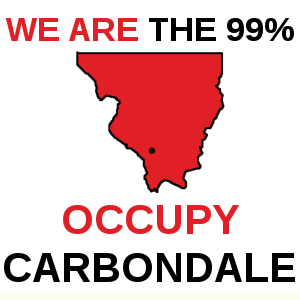 2)Strategic Visioning: A forum for engaging in broader strategic visioning for the future of Occupy Carbondale with an emphasis on the creation of actionable proposals. -Everyone is welcome and encouraged to participate in this working group. -Permanent meeting times will be addressed at one of this week’s meetings. -Minutes will be posted to the website and a link will be posted to the [oc-internal] google group, website and facebook group. -There was concern raised by a couple of parties that we have some very active members who are currently homeless and had been staying at the occupation site across from the Gaia House. -They were hoping for help from the group in supporting those who are homeless and wish to continue supporting the group. -Several options were considered, including camping at the town square pavilion, the Good Samaritan House and sleeping at the IMC. 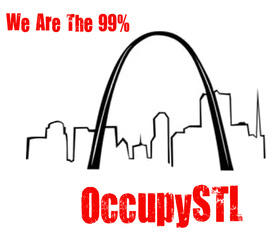 -Some expressed interest in trying to maintain a 24 hour public space occupation, or at least an abbreviated daily occupation, in order to stay better in solidarity with other Occupations. -Others were concerned about the number of actual people hours we have available, and how continuing the 24 hour occupation would be unsustainable, but that a shorter daily occupation might be feasible. 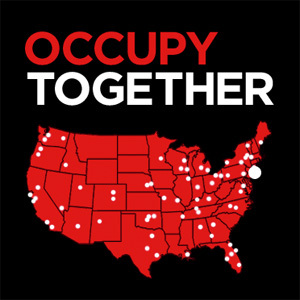 -There was a discussion of the merits of 1) demonstrating to challenge existing power structures to gain reform, versus 2) building the world we envision from the ground up as our “demonstration” because politicians and corporations can’t solve our problems. -It was noted that these are perhaps complementary parts of a holistic approach and don’t need to be mutually exclusive.